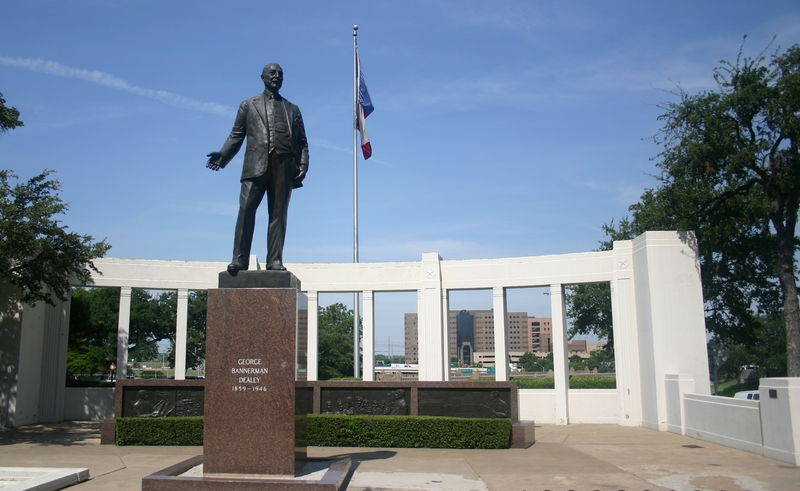 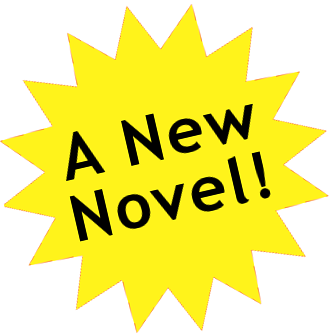 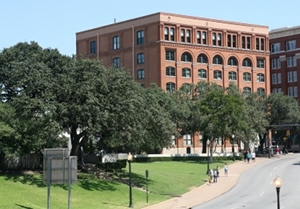 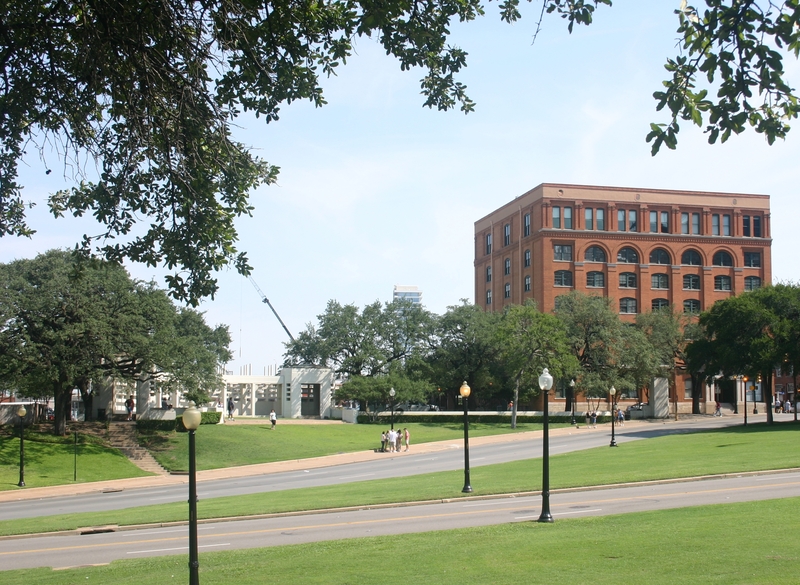 In Saving Jackie K Chapter Thirty-EightUpon arriving in 1963 Dallas, the team members take their first tour of Dealey Plaza, the fateful location where Jackie K. would be assassinated. 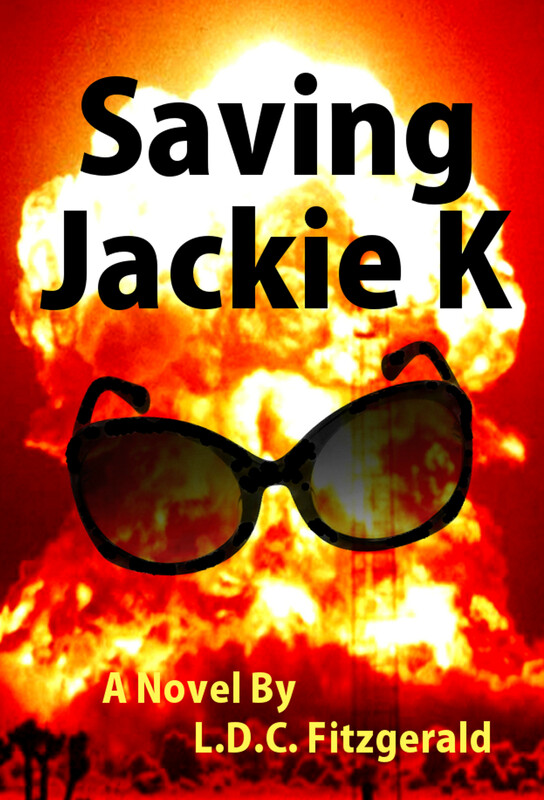 Their mission: to prevent the heinous crime from happening. 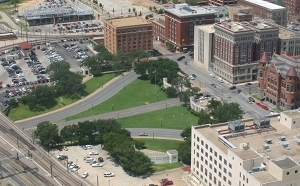 Aerial View of Dealey Plaza - the fateful location where JFK was assassinated - with the former Texas School Book Depository building shown at top center. 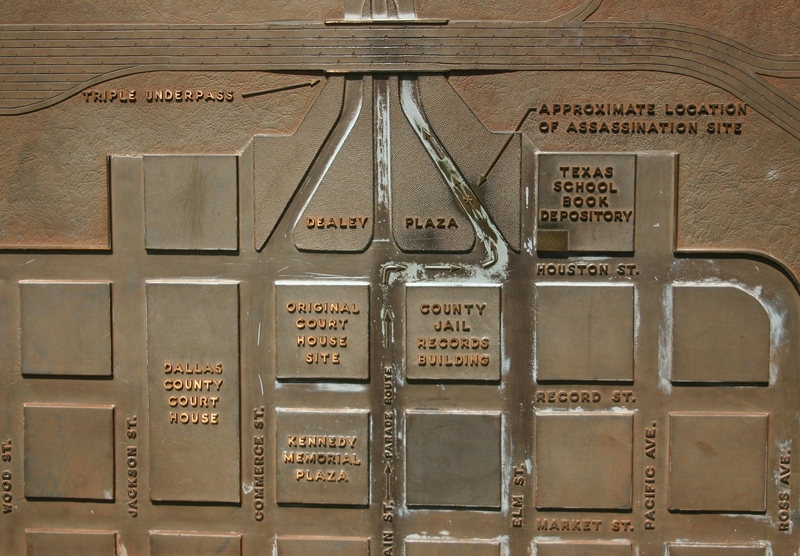 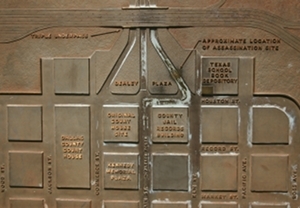 Dealey Plaza Plaque, depicting the three thoroughfares - Elm, Main, and Commerce - converging under the railroad trestle known as the Triple Underpass. A longtime publisher of the Dallas Morning News, George Bannerman Dealey used his influence to campaign for redevelopment of the plaza, which now bears his name. 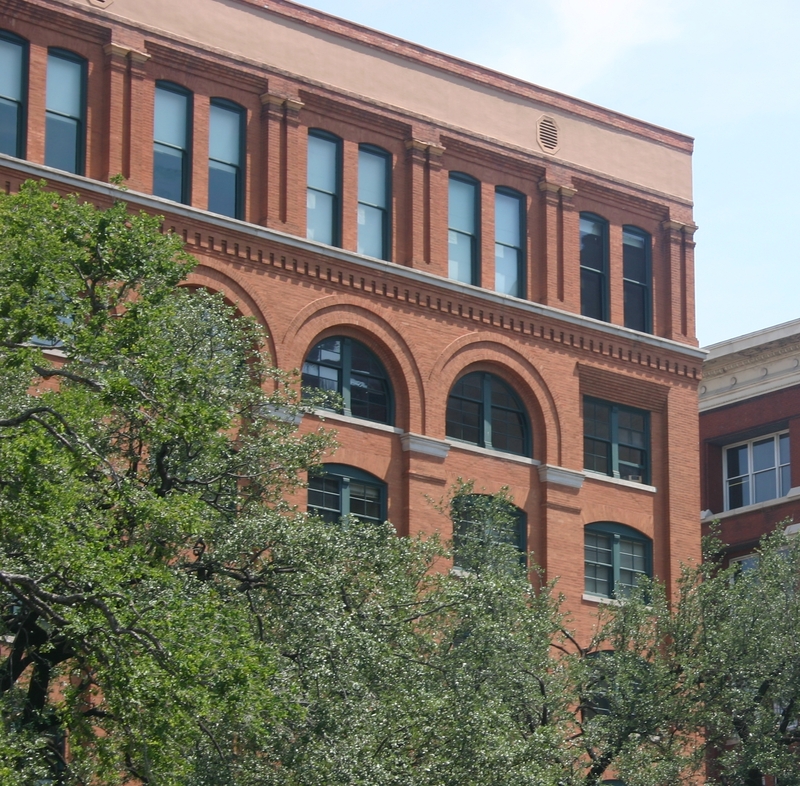 At the time of the assassination, this seven-story brick building was the Texas School Book Depository, a regional textbook storage and redistribution center where Lee Harvey Oswald worked. Separated from the seventh story by a small ledge, the Sixth Floor of the Texas School Book Depository has semi-circle windows across the entire side, except for the square panes at the left and right - where Oswald allegedly fired. 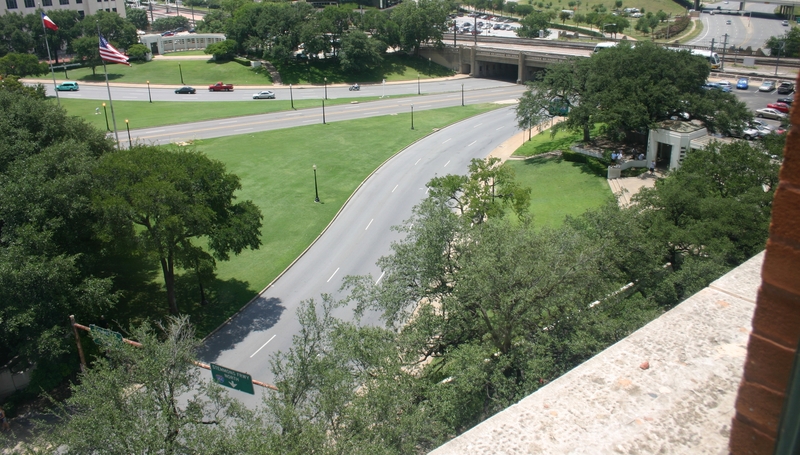 View from Sniper's Perch inside the Texas School Book Depository, where Oswald allegedly aimed his bolt-action Mannlicher-Carcano rifle out the southeast window at the president's Lincoln convertible. 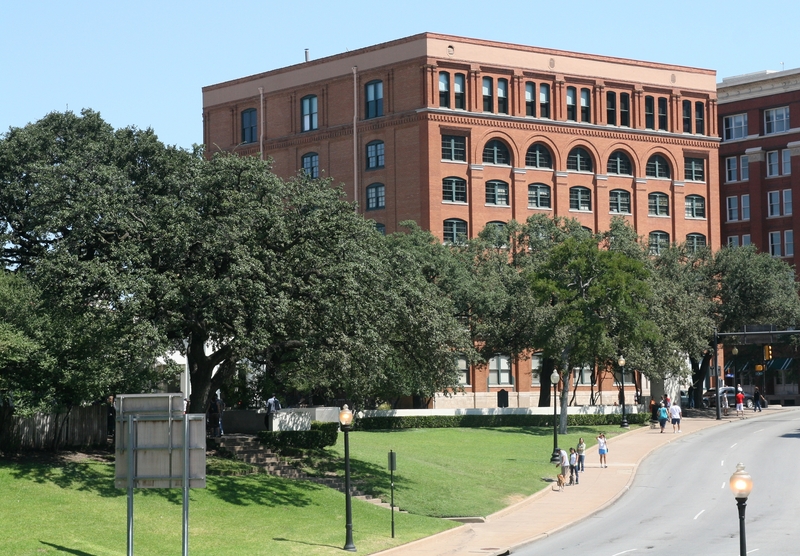 The former Texas School Book Depository has not changed much in the past fifty years, except for the glaring absence of the fabled Hertz billboard and clock on the roof. 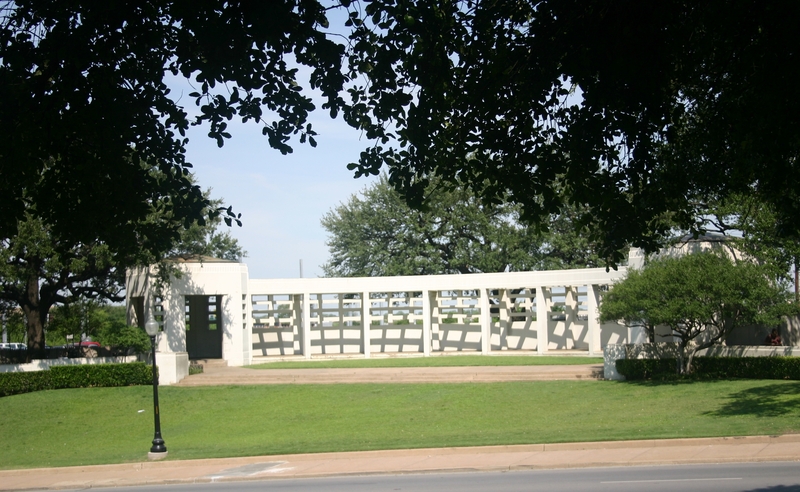 Dealey Plaza Infield, displaying the brick structure of the Texas School Book Depository on the right, and the white concrete Pergola on the left. 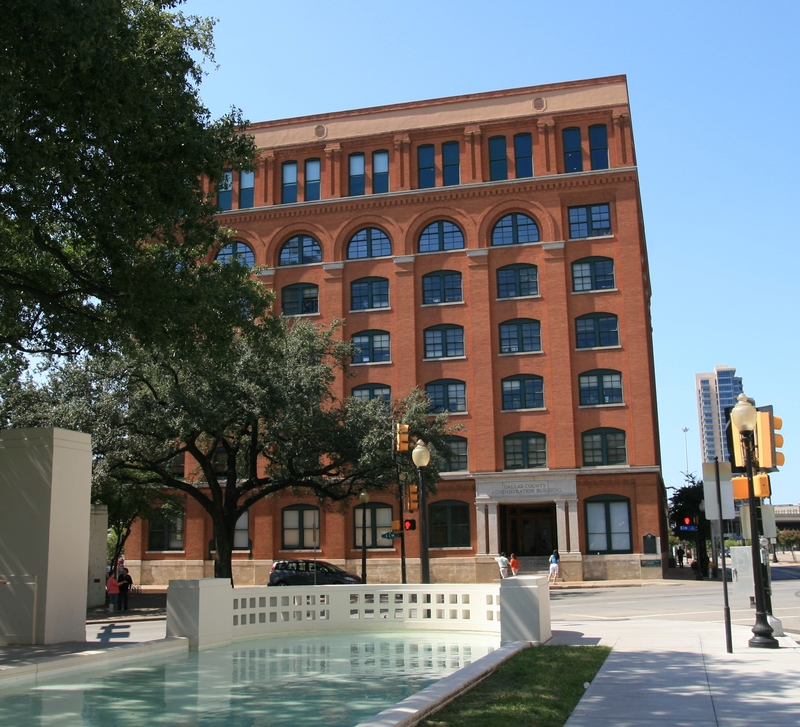 About one hundred feet long, the rounded concrete Pergola has a semi-enclosed back and top with a latticework of gaping rectangles, while its front opens to the plaza. 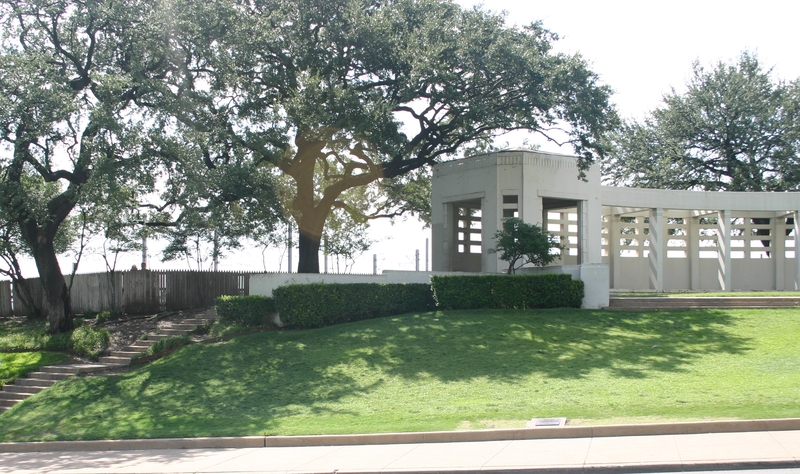 The sloping hill known as the Grassy Knoll, with the Pergola on the right, and the stockade fence on the left. A Pergola Climber starts from the back on several ledges that make narrow footholds - the first measuring thirty inches from the base. 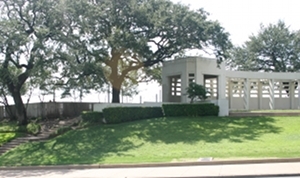 Although the rectangular openings start high above, a Pergola Climber can easily reach them. 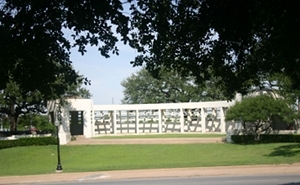 A Pergola Climber demonstrates using the rectangular openings as a ladder on the way to the rim of the pale green copper roof.